Did the Craigheads have any interest in education? Rev. Thomas Craighead, a Scots-Irish Presbyterian minister from whom all Craigheads in the U. S. are descended, settled in Cumberland County, Pennsylvania in the 1730s before it was a county of its own. His youngest son, John, purchased a large tract of land along the Yellow Breeches Creek in present-day South Middleton Township in the 1740s. A descendant of his, John Weakly Craighead, sold a right of way through the original tract to the South Mountain Railroad in 1868. His son, Charles, built a Victorian home adjacent to the tracks and the Yellow Breeches Creek and operated several businesses and raised his five children. It was here that his children, and after his death, his grandchildren developed their love of plants and animals. Today, a virtual army of naturalists descended from him work in various fields related to the study of nature. 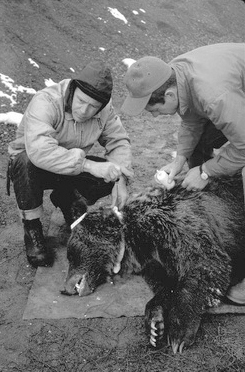 Best known among those who spent significant parts of their lives at Craighead House are twins Frank Jr. (deceased 2001) and John, who are credited with saving the Grizzly bears in Yellowstone Park. A November 2011 article in National Geographic magazine discussed the Wild and Scenic Rivers Act, which the twins wrote. Their sister, Jean Craighead George (deceased 2012) wrote over 100 children’s books related to nature, including Newbery Award winners Julie of the Wolves and My Side of the Mountain. It was at Craighead House that the twins began training hawks when they took up falconry at age 15. Their writings about the sport continue to popularize falconry. Jean and the twins’ father Frank (deceased) was named Scholar of the Everglades by Gov. Reubin Askew for the work he did in saving The Everglades while “retired.” Frank’s brother Eugene (deceased) is well known by trout fisherman both for his skill and the dry flies he designed. Craighead House is historic for its architecture but more so for what happened within its walls and on its grounds. A bit of that history can be found in Summer of the Falcon, an autobiographical novel by Jean Craighead George that her heirs have allowed us to reprint with photos and a cross-reference of the book’s characters to actual people. Dr. David Masland speaking with Jean Craighead George in the kitchen at Craighead House. Craighead House Committee was formed in 2012 by Drs. David Masland and Johnson Coyle to preserve Craighead House and use it for an education center. Committee members donated $90,000 to acquire the house (with a $73,000 mortgage) and keep the lights on until fundraising could begin. Friends of Craighead House gave generously to annual campaigns, making mortgage payments and allowing talks and educational programs to be held in the house. Thank you to all who have given in the past, and we welcome your continued support. My great-grandmother, Clara B. Swartz was a housekeeper for the Craighead’s in the late 1800s or early 1900s. I have a few more details if you are interested for the website or for Tom Benji’s book. I grew up in craighead, our house is a few houses down. I still fish behind the house And growing up there has given me a great childhood And a certain love of nature. I work at ppg, And made it a point to go across the iron bridge to work everyday, But now It’s closed. I hope the Masland And Coyle family’s can save the house, it should be a National historical landmark. You really need to place the whole address prominently on your sight. We Craigheads are spread throughout the country and have never heard of your county. Thank you! If you’re looking at a map, it is on Route 174, right at Craighead Station halfway between Boiling Springs and the intersection with Route 34. Yes I found this after extra Internet research but YOU need to add this info in a prominent location on your website! We have safety concerns with people roaming around the property when no one’s there until exterior repairs have been completed. The insurance is already very costly and we haven’t had any claims. You can help make this happen by becoming a friend by donating through this site or by sending a check. The mailing address has been added to the masthead to make this easier. 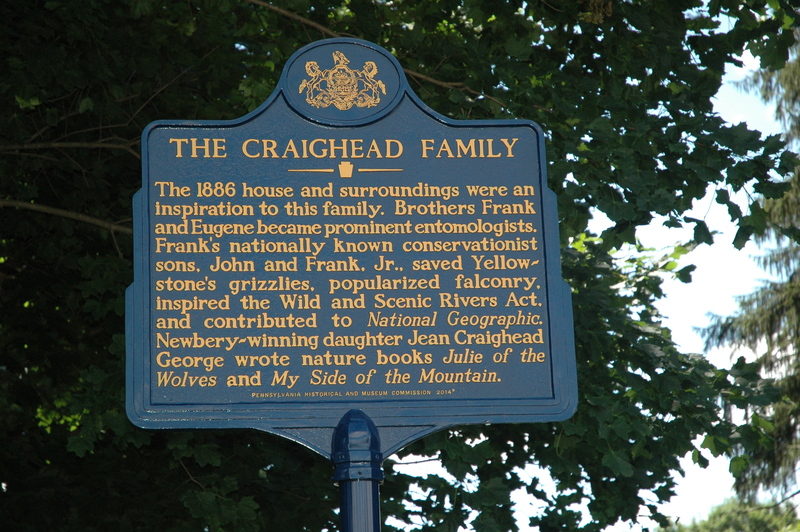 From a family historical prospective, Craighead House is located on the original parcel John Craighead, the youngest son of Rev. Thomas Craighead, the first Craighead to come to the colonies, purchased from the Penns in the early 1740s. Rev. Thomas Craighead is buried in Cumberland County west of here in the town of Newville. Craigheads were among the early Scots-Irish settlers of the land west of the Susquehanna River. I am Eugene Hinkle me and my brother John mowed the grass at the Craighead house many times when they were out of the area. We lived on the Craighead farm and on occasions he brought things we boys took an interest in ; they were pine trees , peanuts and bamboo plants all of which we planted. I have often wondered if any of the pines are still living in the woods where they were planted . Thank you for writing. In which years did you live on the Craighead farm? Was the man who gave you bamboo plants and other things the elder Frank Craighead? Which house did you live in? Hi there. i spent probably more time in that house than anyone in modern times, and am glad it is still being looked after. Wish I could take my new wife there, unfortunately terminal cancer prevents me. Just wish my dad ‘James Craighead’ was mentioned in history as, he/we owned and took care of the house for over 25 years (late 70’s to ’10s. Did any of the craigheads move to Mississippi or Arkansas? Yes. Craighead County, Arkansas is named after Thomas B. Craighead. See this genealogical book about the Craigheads in America. Sadly, it ends in the 1870s.